Crying can be seen as a function of the body that arises when language can no longer do the job. It is a way to communicate feelings, and may in fact be able to communicate what words cannot; it picks up where language leaves off. It is a bodily release that is cathartic, and intrinsic to the processing of grief. Deep grieving done through crying or sobbing takes me to a place my mind can not understand, or make sense of, or sort out; it is a place where my mind can not do the processing. It is through the tears that my body processes my emotions and takes me to the other side of the pain and sadness. Transformation can only occur through the body. The act of crying is an act of transformation, an alchemical process, not only a kind of healing, but something more that leaves me feeling lighter and changed. Something happens to the weight of those emotions, they are transformed, and released as something physical, a tear. Something that is, like art, an act of creation, something physical is born from that place and then let go of. this is an excerpt from my thesis entitled Mourning In A Major Key, from a section on how the eye plays such a huge roll in both visual art and in mourning. This paragraph on crying has been wanting to be posted here for a while now. this is one of my favorite works of art, I also wrote about this in my thesis. I highly recommend reading what Felix Gonzalez Torres writes about seeing this piece for the first time. So moving. It's why I think art is important and so needed. Well said and much appreciated! Thanks for sharing your insights on crying, an act I'm well versed in, having been called a "cry baby" since childhood. I do always feel a bit lighter after a good cry; it can be difficult to believe that lightness will be on the other side but it always is better. thanks for leaving this comment Monica. i was talking about this last night to someone, we talked about crying and how everyone is always apologizing for doing it, or hiding it, or holding it back.... or like you said, being teased for doing it. and i really think it's time to change our relationship to it, and change our ideas about what we think it is. and also to think more deeply about what it is doing for us, what it gives to us. and maybe what it could give to others, if we cry freely and unapologetically with others what a gift for them to witness. how powerful a statement. 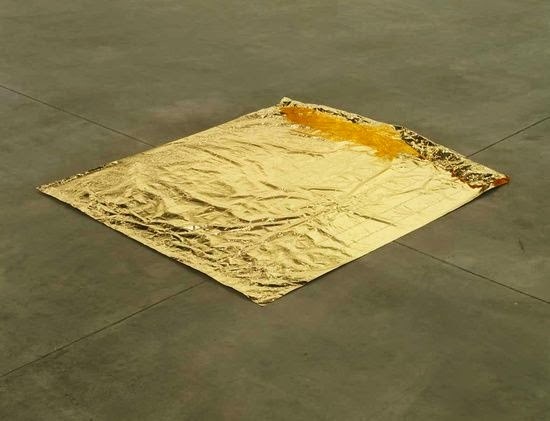 i know... that Roni Horn and FGT exchange!! soooooo good... ugh... so good.